You want to drive a Kenworth or Peterbilt but you don’t have a commercial driver’s license? No problem. Now, anyone with a driver’s license can live the life of a road dog at least on weekends. A TRUCKING enthusiast has created his very own micro-machines by shrinking the traditional American big rig down to the size of a pick up. Bob Suffern and his all female team specialise in creating the miniature trucks for fans across the world. Bob Suffern is the owner of Lil Big Rig and his shop is down in Nashville Tennessee. Lil Big Rig builds conversion kits (and complete trucks) that can transform your pickup truck into a miniature semi truck. Lil Big Rig can convert your 1980s-1990s two-wheel-drive Ford F-250, long-bed full-size Chevrolet pickup (1973-1987 model years in either 4X4 or 4X2) or 1994-2003 Dodge Ram standard cab pickup (either 4X4 or 4X2). Lil Big Rig replaces the standard truck body with a fiberglass Peterbilt or Kenworth cab and front hood/fender assembly. A semi truck-esque rear body and two extra dual rear wheels are added on to make your truck look like a traditional Peterbilt or Kenworth semi. The interior is completely revised and resembles the cab of a semi, and what’s a semi truck without a rear space to relax in? All Lil Pete and Lil Kenny kits come with a full rear sleeper available with seats or room for an actual bed. 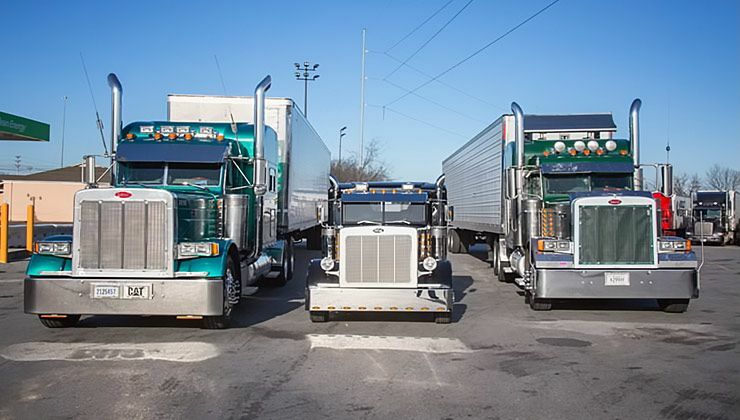 It looks pretty much exactly like a Peterbilt or Kenworth truck… right up until you see it sitting next to a Peterbilt or Kenworth truck, at which point you wind up kinda surprised that a bunch of clowns aren’t climbing out. 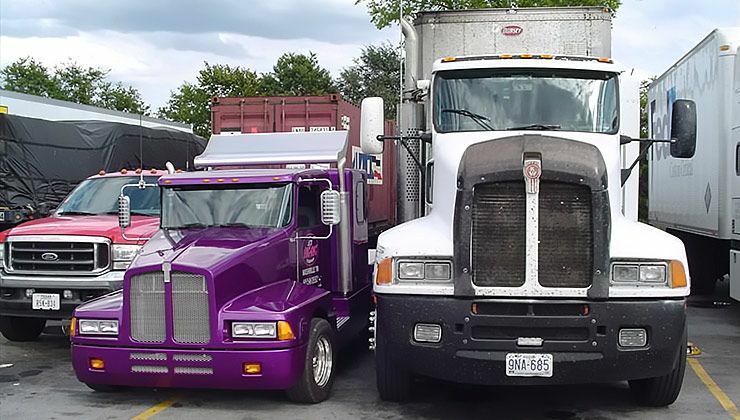 Just how much smaller is the Lil Kenny compared with a “big” Kenworth? A typical semi truck stands around 13 feet tall; the Lil Kenny sits at a little more than 5 feet tall. Despite the size difference, the overall interior and exterior appearance is strikingly similar. Bob said: “We really love what we do. You get mobbed by people when you drive these things. You can’t even go to the gas station without getting a reaction – there are always people coming up to you asking you questions and finding out where they can get one”. The basic kits for these vehicles start at around $12,950 but there are a lot of options and accessories you can purchase for it.